I need to free up space on my Mac and know there are a ton of hidden files that are eating up space (Logic for example downloads a lot of instruments... somewhere). Is there any way I can create an interactive (or non interactive) tree map of my hard drive? Add or remove zeroes to get more or less hits as you are searching. du -sh * | grep -E "\dG"
The Large & Old Files module in CleanMyMac 3 makes finding space-hoggers on your Mac simple. 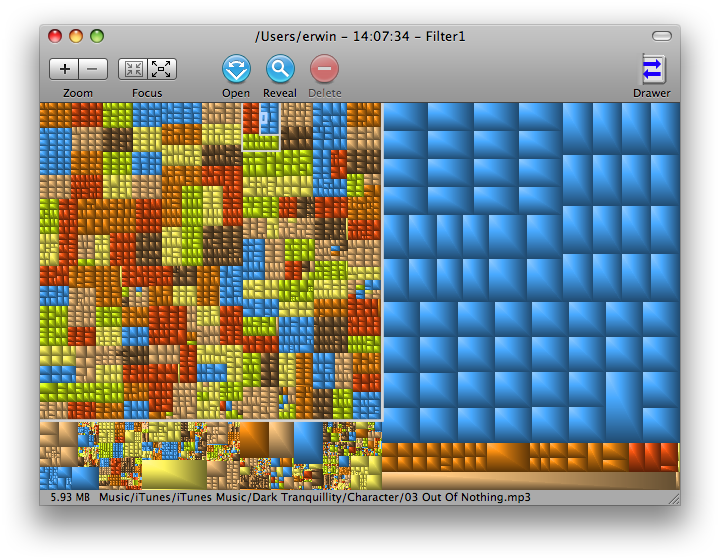 Just run a scan to see all the files that are taking up the most space — and then clean them up. How does the Large & Old Files module help me? Everyone has (at one time or another) thrown files into random folders. 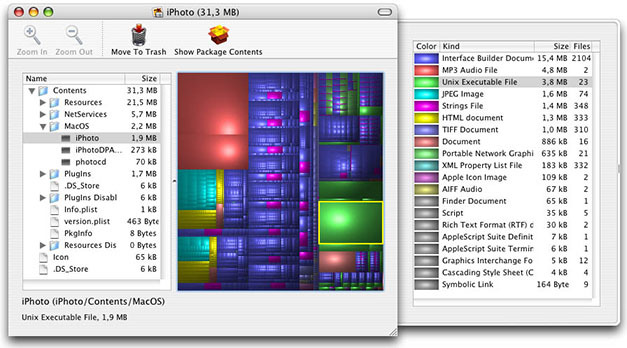 It’s easy for these files to take up gigabytes of space without even realizing it! 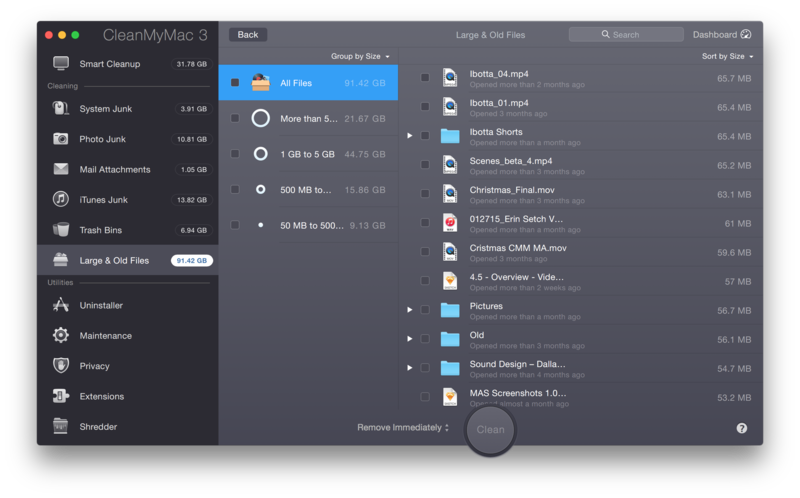 CleanMyMac 3’s Large & Old Files scans your entire Mac and brings all these files to the surface. Plus, it lets you see what’s what, based on a file’s size, date last opened, and type. 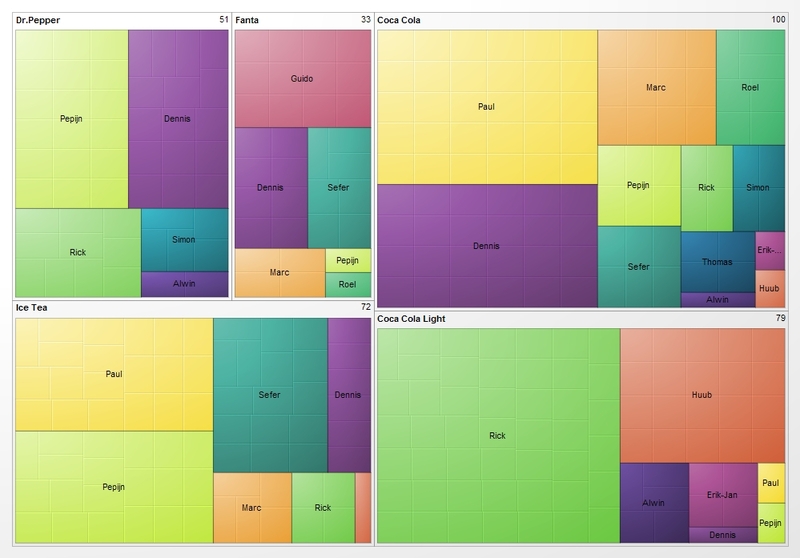 It's like WinDirStat was on Windows. Not the answer you're looking for? Browse other questions tagged macos disk-space . What is a good way to archive iTunes movies?